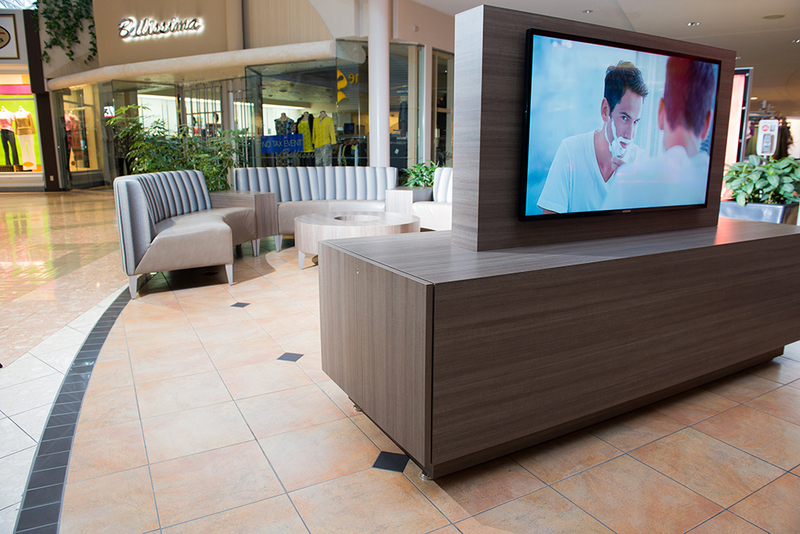 Our client tasked us with creating a series of common seating areas or ‘hubs’ for shoppers to meet, rest and relax. With the shape of the mall and natural axis points, we created a layout showcasing a large undulating seating zone in the ‘fashion hall’ as well as smaller circular sections in secondary areas. It was also important to the client to create opportunities for customers to enjoy a coffee with dining style seating, watch TV in a lounge environment or have areas to perch for a rest. 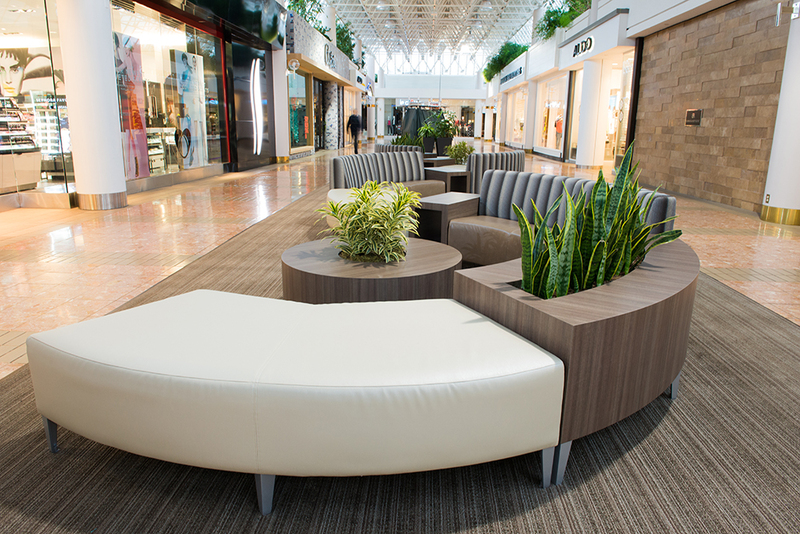 The Circa seating system from Coalesse was assembled in complex curves with low wood tables dividing it into sections. Circular tables with cutout centers allow for feature floral displays throughout the year. The benches were clad in a striped upholstery fabric on the backs with durable leather-look vinyl in a coordinating vinyl on the seats, all set on top of custom area rugs.